Member: The Broadway Collection Anastasia, inspired by the beloved films,transports us from the twilight of the Russian Empire to the euphoria of Paris in the 1920s, as a brave young woman sets out to discover the mystery of her past. Pursued by a ruthless Soviet officer determined to silence her, Anya enlists the aid of a dashing conman and a lovable ex-aristocrat. Together, they embark on an epic adventure to help her find home, love, and family. 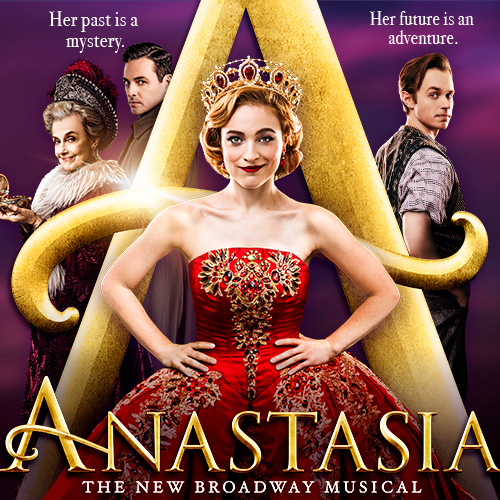 With its opulent settings, dazzling costumes, and a soaring score including the song favorites from the hit animated film, “Journey to the Past” and “Once Upon a December,” Anastasia is the spectacular new musical about discovering who you are and defining who you’re meant to be.